FRP Grating and Structural Shapes – IN STOCK in Ontario and Western Canada! Fiberman provides Molded Grating and FRP Structural Shapes to customers across Canada and the USA. Our experts know the FRP grating that is right for your application and are standing by and ready to help. Our super buying power means that you will always get the best price from Fiberman. Proven corrosion resistance is just one of the benefits of our molded grating. It’s strong, lightweight and performs reliably for years, even in extreme conditions. Slip resistant coating options also enhance worker safety. 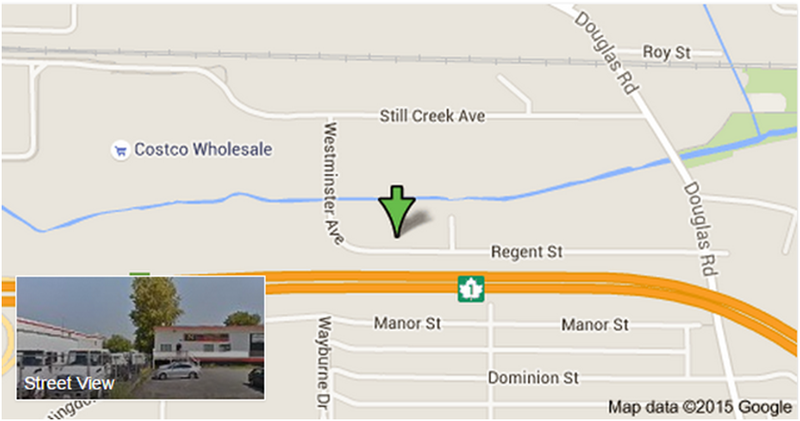 Our new Ontario fiberglass grating distribution center is up and running! Quick shipping to Toronto, London, Hamilton, Brampton, Mississauga, Kitchener-Waterloo, Ottawa, Sudbury, Ajax, Richmond Hill, Markham, Sarnia, Oakville, Oshawa, and Thunder Bay! Our head office is centrally located in Burnaby, BC, our Vancouver and lower mainland customers have instant access to hundreds of panels of fiberglass grating and 20′ lengths of angle, beams, and c-channel, and tubing. We can usually ship next day to Richmond, Surrey, Delta, Langley, Abbotsford, Coquitlam, New Westminster, and North Vancouver. The high resin-to-glass ratio (approximately 65% resin to 35% glass by weight) provides a long service life, so you won’t have to replace FRP grating as often as other materials. And molded-through color eliminates the need for painting. FRP molded grating is available in stock panels, or we can fabricate to size to meet your specifications. 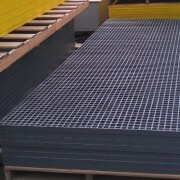 We can also design, engineer and fabricate complete fiberglass grating systems. Grating can be fabricated using standard tools. Interwoven square mesh construction provides bi-directional strength, so you can cut grating to fit and make the most efficient use of each panel. A low coefficient of expansion and contraction makes our molded grating products dimensionally stable in many environments. We stock fiberglass grating in 3′ x 10′, 4′ x 8′, 4′ x 12′, and 5′ x 10′ panel sizes. Panel Thicknesses are 1″, 1.5″ and 2″ deep. Colour selection includes Dark Grey, Light Grey, yellow, and green. New stock arrives every week. Call 1-844-599-0260 for up-to-date prices and availability. Molded fiberglass grating is a strong mesh grating panel used as floor grates and trench grates that are corrosive and chemical resistant, for many industrial applications. Trench and Drain Grates are available in two resin systems which provide different levels of corrosion protection. Both resin systems meet Class 1 Flame Spread Rating per ASTM E-84 test standards. The glass fiber in our fiberglass grates is embedded in extremely high durability resins. Polyester: A premium-grade isophthalic polyester resin system that provides excellent corrosion protection. Standard colors: Dark Gray, Light Gray, Yellow, and Green. Equivalent to Strongwell Duragrate PP. Vinyl ester: A chemically resistant system that provides the highest level of corrosion protection. Standard colors: Yellow, Dark Gray, and Orange. Equivalent to Strongwell Duragrate VE. Common sheet sizes for molded FRP grating include: 4’x8′, 4’x12′, and 3’x10′. Common thicknesses include: 1″, 1.5″ and 2″. We hold stock on all sheet sizes and thicknesses in distribution centres across Canada and the USA, including Western Canada near Vancouver, BC and in Southern Ontario serving Toronto and the GTA. Call us for price and lead times. Discuss the specific needs of your project with one of Fiberman’s Molded Fiberglass Grating experts. Our sales and distribution teams in Ontario and BC will respond quickly to your needs. We will ensure that the material you select will have the specifications required for safety and optimum performance. You will also benefit from our industry-leading quick quote turnaround and fast delivery across Ontario and Western Canada and the US. 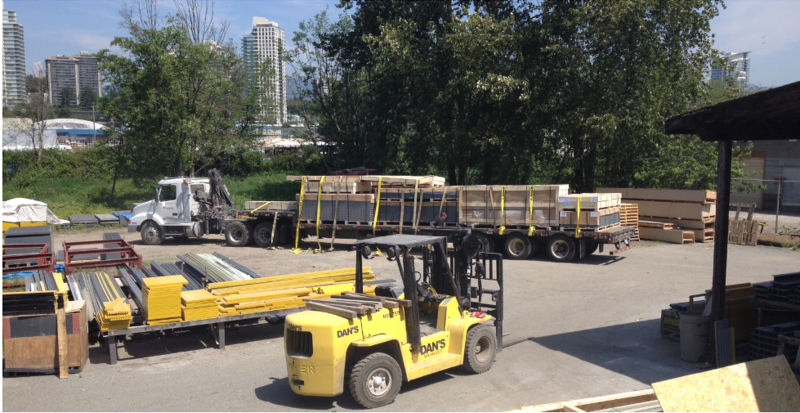 Fiberman’s headquarters in Burnaby, BC stocks many Molded Fiberglass Grating profiles, ready to ship across British Columbia including Richmond, Surrey, Delta, Langley, Abbotsford, Coquitlam, New Westminster, and North Vancouver. In Ontario, our Fiber Man grate and FRP sheet distribution center is up and running! With regular shipments expedited to the GTA, Toronto, Hamilton, Brampton, London, Markham, Mississauga, Sudbury, Ajax, Richmond Hill, Kitchener-Waterloo, Ottawa, Sarnia, Oakville, Thunder Bay, and Oshawa! Fiberman’s pricing and service experts in Ontario and BC are standing by to help to find the best product for your project. With many varieties in stock and expedited shipping, we can supply your project with Molded Fiberglass Grating at the best possible price with fast delivery. We also ship container loads at special bulk pricing for contractors.